While I am often skeptical of “management gurus”, “consultants” and other self-proclaimed know-it-alls – so many platitudes, so little actionable advice! 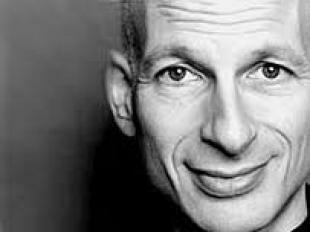 – I really enjoy Seth Godin’s work. I usually find his advice inspiring and his words cut through the blather. Yesterday, he posted “Form and Function”, an analysis of how when the form of media or communication changes, the service must change as well. When the form changes, so does the underlying business model, which of course changes the function as well. In each case, the original players in the legacy industry decided that the new form could be bolted onto their existing business model. And in each case they were wrong. The first instinct of the training organization is to simply add voiceover to a PowerPoint presentation – making that training content infinitely reusable and always available! But while that reflects change in training’s form – from in person lecture to online lecture – it does not reflect the change in function. Ever-evolving technology presents an opportunity to alter the way learning occurs. For example, the old-fashioned form of learning required a classroom, instructor and group of learners at their desks. The new form begets a new kind of learning: Where the learner is empowered to find information as she needs it, and where information is organized, shared and accessible to everyone. In this function, learning is a journey, an experience – where a little occurs all the time and where content is available in a variety of formats, shared in a variety of ways and is, above all, flexible. So here’s to fighting the good fight! Let’s make “elearning” more than PowerPoint – let’s make it a new, online learning, where opportunities to improve and excel are integrated into every aspect of professional life.